Flower essences deliver the subtle energy of plants to our body. It’s a form of energy medicine that helps balance our emotional wellbeing. Flower essences are a powerful tool for shifting mindset, moving through trapped emotions, releasing stored trauma, and improving habitual emotional states. Subscribe to my Youtube channel to ensure you catch my weekly videos for the healing journey (you’ll see the subscribe at the end of the video above). 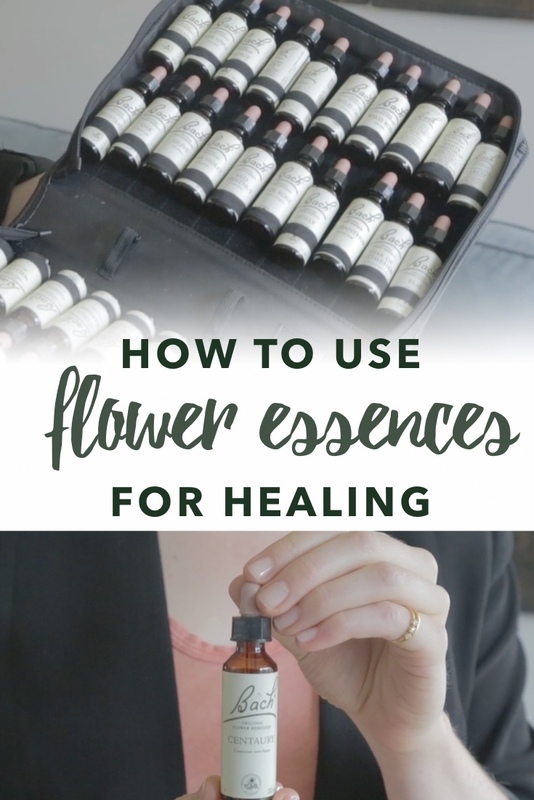 Have you used flower essences on your healing journey and do you have any additional questions about them? yes I loved your video and would like more info. on flower essences. What is the difference between flower essence and essential oils on and in the body and what would you recommend for no conscious memory of your childhood? Essential oils are extracted from the actual plant material, while flower essences are water that has the energetic imprint of flowers. Flower essences have no flavor or fragrance, while essential oils do. I can’t provide a specific recommendation for you here, and would also suggest you work with a practitioner on that issue in addition to implementing flower essences to support it. Beautifully done. Did you know that you call both the 2nd and 3rd essence “Cerrato”? Thought you might want to know. You peeked my interest in going back to using these essences. I think I need them NOW. Yes, I’m sorry for any confusion caused by saying Cerato twice! I made a note below the video to clarify that. I’m glad you’re interested in using essences! I heard that Bach uses mechanical processes for their flower essences and that FES still does it by hand. That the use of machines can negatively impact the energy of the flower essence and FES may be the superior option because of that. Do you have any thoughts on this? I recently learned from my local herb shop that the recommend FES essences now instead of Bach due to processing. So that’s in line with what you heard. Hello, my name is Magnolia Hampton. I love your video. I am interested in treating low stomach acid. I am 62 years old, and been diagnosed with small intestine bacteria overgrowth, and h pylori. Could you help me.